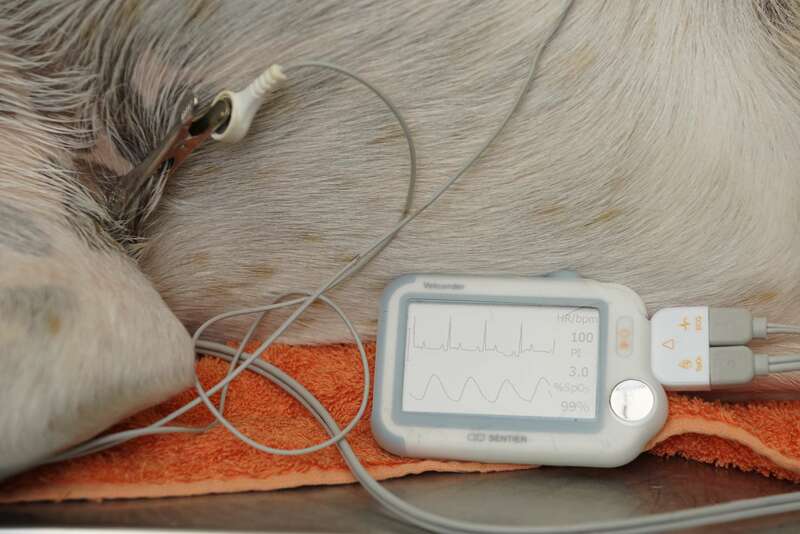 Quite simply: Gaseous anaesthesia is the safest form of anaesthetic for your pet. 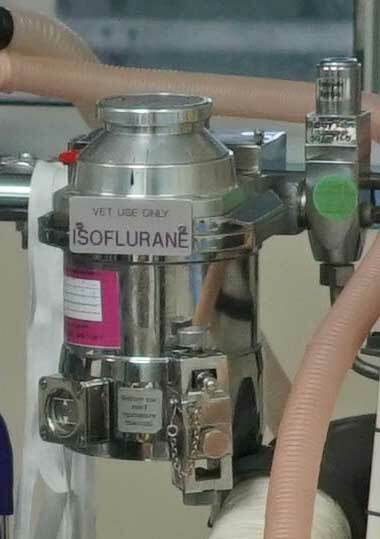 We have well maintained anaesthetic machines using the latest isoflourane anaesthetic gas. 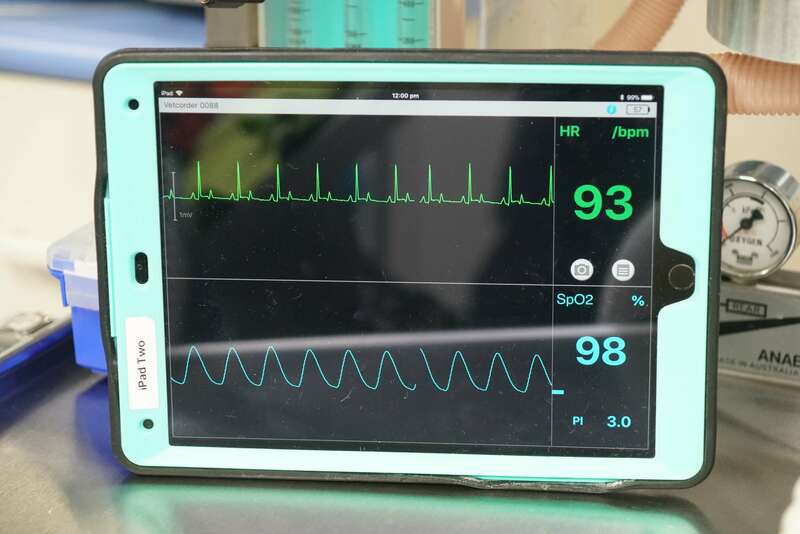 Provides mobile monitoring of patients both under anaesthesia during surgery but because it is mobile, it travels with the patient so they can be monitored during recovery. 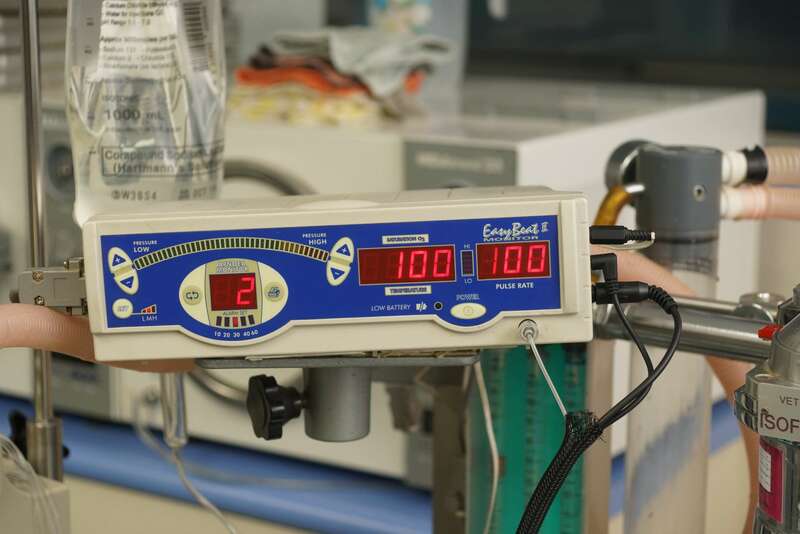 Bair Hugger warming systems have recently been installed in the surgery and intensive care unit at the Whyalla Veterinary Clinic, providing leading edge treatment for patients from around the Eyre Peninsula. 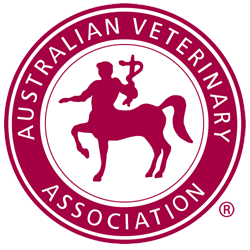 The clinical importance of preventing hypothermia in animals (becoming too cold) was recognised by the vets as a fundamental requirement for successful outcomes in seriously ill patients. 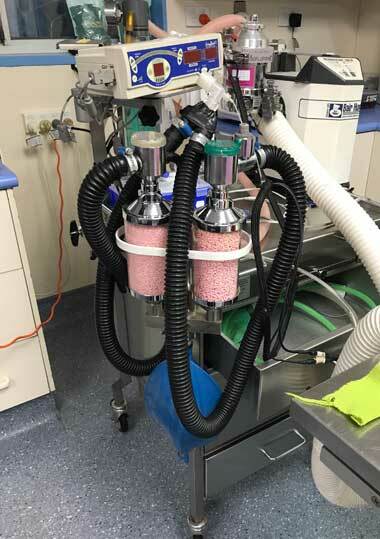 Commenting on the installation of the Bair Hugger systems Veterinarian, Dr. Andrew Melville-Smith, stated: “We are thrilled to have a Bair-Hugger available at the clinic. 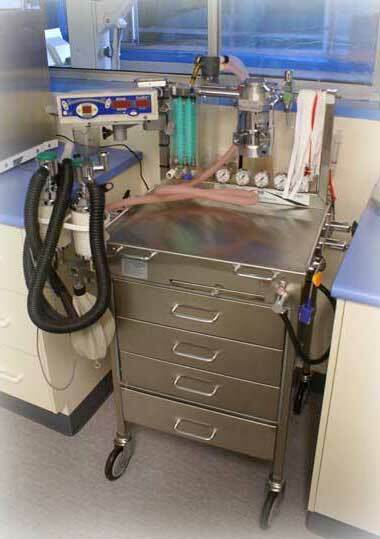 It is a pediatric (human) medicine patient warming system that surrounds a pet in a blanket of warm air. 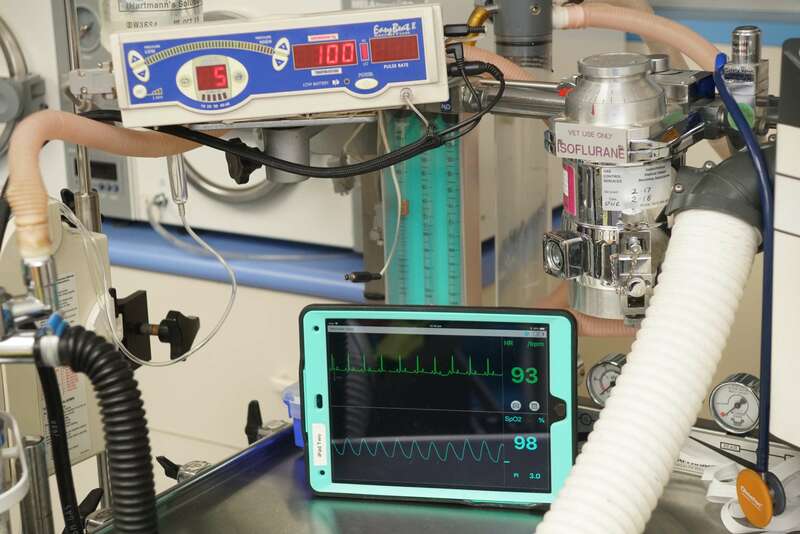 “The surgery patient is kept toasty warm during surgery and recovery. 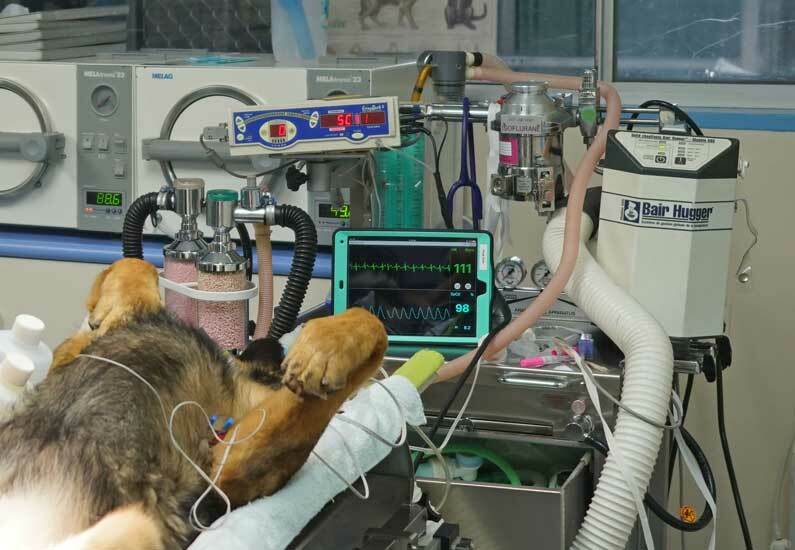 “Research has shown that keeping an animal warm during surgery will increase survival rates and significantly reduce complications in pets, as it does in humans.